Easter is the festival of Christian, but now it is celebrated by people of all communities and religion. The festival is best celebrated in western countries and different countries have different rituals for its celebration. Unlike the other festivals of Christian, which are celebrated on a fixed date like Christmas, Halloween, valentine’s day, etc. Easter has no fixed date, but it falls mostly between the end of March to end of April. The date is calculated analyzing the position of the moon. Therefore, the date of this festival varies from country to country. The Easter of 2019 will be celebrated on the 21st of April in most countries. The Easter holiday has begun, so get ready to have fun. Decorate your eggs and bunny and make the easter lovely and funny. My celebration of Easter means sending greetings to people I love and people who love me. On the occasion of Easter, I have things to so many. In short, be happy and keep smiling. Eggs are ready to hatch and the bunny is hiding somewhere, let’s come together to find our fortune. May your Easter basket remains full of happiness, joy, and fun. Happy Easter dear friend! I wish this Easter lord takes all your pains and shower happiness in return. You can find such lovely, relating and customized happy easter messages on various messaging platforms and send it across to your friends and people in your contact list all for free. Easter is a festival celebrated following some rituals and customs. Visiting the church for praying, arranging dinner, serving turkey are some that are followed. People invite friends and family for easter turkey dinner. If you have been invited for the dinner and you want to add some more flavors in the celebration, then combine sentiments in celebration, sharing some gifts and wishes. A Wine Bottle – A freshly cooked turkey tastes the best with wine. If you have been invited for dinner, buy a preserved wine and present it to the host. It is best if you buy red wine. Start dinner serving chilled wine and give an impressive start to the dinner. Cake And Puddings – A mouthwatering sweet after dinner make the party complete. When you are invited for Easter dinner, don’t give all burdens on the host. Share some responsibility, prepare or buy a fresh cake, pudding or any other sweet as a gift. Chocolate And Sweets – You can gift chocolate to children as a gift and they will be like more than happy about this. Sharing chocolate is also a ritual of Easter. While sharing gifts with the host, don’t forget to complement this gesticulation with some wonderful Easter messages quotes. If you are not good at writing messages on your own, take the help of messaging platform and select a perfect message befitting the situation. It is the time of Christ resurrection, it is the time to celebrate and have fun. Happy Easter and have a holy day. On the sacred occasion of Easter, I pray to the Lord Jesus to send happiness and good health in ample. It is the time of the resurrection of Jesus. It is the time to relish the power of divinity, Happy Easter. Easter bells are ringing high, once again the Christ has arrived. Let get drenched in the devotion of God to attain peace and salvation. Happy Easter and have a great day. Let’s celebrate this occasion on Sunday. Make the Easter fun filled by adding charm and twist. Celebrate the day with wine and turkey. What Is The Relation Between Easter And Bunny? Rabbits are called as a bunny and it has a strong association with Easter and its celebration. It symbolizes the rebirth and fertility and according to believe the Eostre, Anglo Saxon Goddess of Spring had a hare in her lap and it her companion. Another legend associated with Easter and rabbit is that Easter Hare’ judged whether the children had been bad or good in the Easter run-up. You have an Easter basket full of eggs, may you find the bunny the before eggs are hatched. Little bunny wishing you a Happy Easter. Have a basket full of cake, chocolates and colorful eggs. The Easter bunny brought a basket for you, that has everything that wishes and deserve. May all your dreams come true. A joyful hug from Easter bunny on the occasion of Easter, may you have a lovely and blissful day. Come and let’s celebrate Easter together. Let children find eggs and bunny and we have talks lovely and funny. Have a great Easter evening and celebrate it fun and zeal, the easter bunny is waiting for you to give a tight hug. Now that you have learned what Easter messages and pictures and quotes you should send to friends and family as greeting, the relevance of eggs and bunny, about Easter 2019, etc., now it is the time to learn, how you can make this celebration a real fun by adding some twist by planning the day creatively. Here are some activities that you can plan on the day. However, before planning, some celebration, it is important to note how people in the different parts of the world celebrate this day. The Greeks celebrate this day by baking they are traditionally baked, which called as tsoureki. They eat this bread with red-dyed eggs. The people in eastern and central and Europe celebrate this day by painting eggs decoratively and then fight for the same like conkers. The people of the Czech Republic, celebrate this day a bit differently. Here, boys pour water on girls and then whip their faces with willow twigs. The talk of willow branch also comes in the Finland Easter celebration, here young children are dressed up as witches and they celebrate the spring holiday. “These little witches are then made to visit people’s houses and ask for willow twigs, they get decorated willow twigs with crepe paper and colourful feathers from houses as blessings. The twigs are the symbol of blessings that drives away all evil spirits. Organize Egg Decoration Competition For Children – On the day of Easter, people in the US and UK share the basket filled with decorated eggs, chocolate and cookies with each other. You can organize an egg decorating competition for children a day before Easter Sunday to have a wonderful Easter start. Children will have fun together and while they decorate eggs, you reiterate stories of Easter to them, to make the moment full of fun. Organize Easter Hunt Program For Children And Adults Both – Easter celebration is for everyone and thus, everyone should have their share of fun on the day. Hide, painted eggs in home and garden and organize the egg hunt competition. Ask everyone to participate, you will have a great time together. In many countries, children are engaged in the egg hunt on the day of Easter. You can announce some gifts for the winner to add a sweet twist in celebration. Become A Host And Invite For Dinner – If you love cooking, show your skill to people around you. Invite your friends and family for dinner. Bake cakes, prepare turkey and serve hot to your guests. Having dinner together is really fun and increase happiness in manifolds. You can also ask people coming on dinner to dress up best. Organize A Theme Party – Easter is all about praying in the morning and enjoying food in the evening. If you are hosting the party at your home, instead of going flat, give a theme to the party. This will perk up the celebration. In the theme party, you can give a dress code to the invited people. Attend The Easter Parade – if you are not interested in hosting a party at your home, or you have not been invited for dinner anywhere, but you want to celebrate this day differently, then be the part of Easter parade. Most countries and their cities organize Easter parade on the occasion. If it is not in your city, take leave from your work and be the part of the parade at a different place. It is really fun to be in the parade. While you are hosting different events and dinner at your home, decorating the home and making it party ready is also important. The best way to do this writing Easter messages on the card and placing it all over, the decorating area around the dinner with easter messages images. How To Wish Someone Who Is Living At A Distance Apart? It is easy to celebrate Easter with people who are living nearby, and the part of the family, but those who are living apart can also be included in the celebration. And this could be done by sending Easter messages for cards. You can send Easter greetings to the loved one you are unable to join you on the occasion online or through text. There are many platforms present that share wonderfully drafted messages for all occasions. 143greetings.com is also one of the most popular messaging platforms that have a huge collection of Easter Sunday messages, free cards that you can send to your loved ones any time. You can find here messages for different categories such as funny easter messages, religious easter messages and many more. We maintain the fresh collection of messages so that you always get something new to share with your friends. 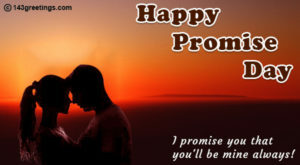 We have a huge collection of Easter messages that express every emotion, just check the site, select the message and send to the person you want to. We all have that one friend, who always go the extra mile to bring out something innovative. Be it planning a party, going for outing or wishing someone happy birthday. This friend never goes flat in expressing his feeling. Many try to copy him, follow his attitude, but only few get success in the same. Although, every individual has a unique trait, but the person having characteristics of expression remains the most praised one always. You can also develop this attribute, just by putting little more efforts, when you are greeting someone or wishing someone happy birthday. Instead of going drearily with wishes and using monotonous messages, find something spanking new and electrifying. Although, I couldn’t make it for your birthday, but here is my happy birthday greeting to make sure my absence is not felt. You know I am not good at writing heartfelt bday message, so I’m sending this message with intense feeling. I wish you, happy birthday dear, may you have a great day. On your birthday, I wish, you get everything that you want and deserve. Have a bliss full year that start with a great birthday bash. Happy Birthday. Now, if you can’t pen down such special birthday wishes, no need to lose heart. Take the help of messaging platform that maintains an impressive collection of happy birthday quotes. Happy birthday to my special friend you deserve exceptional attention. Want to hug you tight and say you have a great birthday night. With this wonderful happy birthday wishes message, I wish, you have a year full of surprises and many successes. Birthday gesticulation complete with excellently written birthday message. Everyone, want to know what their friends feel about them, the exceptionally drafted happy birthday sayings efficiently does this and show person’s importance. If ever you fall short of words, take the help of messaging platforms to write down a remarkable message. Your efforts will always be appreciated and loved by friends. Now, how about writing a birthday message for your girlfriend who is living far from you. It also requires efforts to creatively express the feeling. You want to wish her happy birthday along with showing her how much you love her. In this situation, you can’t go plane saying “Happy Birthday dear love” or “My love happy birthday to you”. Of course, you can write this birthday wish, but it can’t be called as one of the best happy birthday wishes. In place of writing some pre framed birthday wishes, try this. Happy Birthday my sweetheart and my darling. I wish your whole year to remain sparkling. Wishing my love, happy birthday without hugging her is a pain. But, I console myself thinking, this pain is all for the gain. Another year added in age of yours, now you look pretty and sensual even more. I love you my darling, happy birthday from my heart. You are my love, you are my soul, celebrate birthday many more. Love you, always. We all love things that are different from usual, be an elegant attire, jewelries or anything else. And when it comes to sending happy birthday messages, here also, if you will be little different, you leave a footprint of your feeling. Even if you will celebrate your 50th birthday with wrinkle on your face, my enthusiasm to celebrate your day would be the same. LUV u, Happy Birthday. No matter how far we are, our heart and soul will always be together. Happy birthday, my sweetheart. Happy, Happy and Happy birthday to you my sweet, cute, lovely and adorable boyfriend. Now, it’s final, I can’t live without you. Come home soon. It is great to see you are celebrating your 60th birthday with all vital parts of the body right placed. Happy 50th birthday to women who seem to be in her 30 now even. You are an great inspiration. Age is just the number, a person young by heart, never become old. Happy 90th birthday, many more years to go. We love our parents, but often we don’t express our feeling how much we love them, sometimes because of being shy and sometimes we don’t give much value to express feelings. On the other hand, parents always want to listen few words from their children that show them how worthy they are in their children’s life. Having a parent like you is no less than a blessing. You knew it well how to keep us happy in your hard living. Thanks for giving us such a wonderful life, full of memories. You know what, a big portion of our best memories are the moments we spent with you. If god ever gives me the choice to choose my parents, my choice will be you guys always. Happy birthday. We want to cuddle under your shadow for many more years. May you have a long, healthy and happy life. Messaging platforms like 143greetings.com have a massive collection of similar messages, and you can never be short in finding the befitting message here. With you I live my childhood, adulthood and now wants to live, oldhood. Happy Birthday, have a long life. We play, we fight, then we don’t talk, but we can’t live without each other this is for sure. Happy Birthday and have a nice day. Wishing you great happy birthday dear friend. You are the only person I can disturb even at 1PM in the night. May you have long-long life. Whenever I come to for help, you without even asking solve my possible. You know, coz you know me really well. Happy Birthday. Birthday greetings, birthday wish, all these are small in-front of my love and affection for you. When you have forgotten someone’s birthday, it becomes crucial that you wish him with an apology. Additionally, your birthday wishes messages should have a deep feeling and it should be healing to hurting. Even if you are sending belated bday greeting to the person, or wishing him personally, a message will make your gesture impressive. Here is a handful of messages that you can send to wish someone belated happy birthday. I’m sorry by heart for wishing you so late. This is the first and last time I have forgotten wishing you. Happy Birthday Belated. Sorry my message is coming to you late, hope you won’t mind and forgive me. Have a happy and smiling birthday dear. Grant me apology for forgetting your birthday. But, you there is good behind everything. My late message has brought the smile on your face once again. Sorry I’m wishing you so late, the punishment for me is, I’ill celebrate your birthday once again today. There are many other ways how you can impressively ask for the apology and wish your friend happy birthday. A big congratulation for turning five to you. And my side a big happy birthday to you. Hey, my little champ, you are going too fast, I’m missing your childhood. I am getting a feeling that you are going to look amazing in your new dress this birthday evening. I wish the year brings lots of happiness, playful time and friends company and all this start from today. Happy birthday to cutee, bubbly, softy sweetheart. I wish you enjoy a great time on your birthday. When it comes to expressing emotions to husband or wife, most people think it is not that important. This is not because they don’t care, but just because they presume that other person will understand. But, this should not be the case, when it’s the birthday of your husband or wife, you should not lose this opportunity to celebrate and add a spark in your life. Giving a gift, taking out for dinner, doing something for her or him are some usual things. 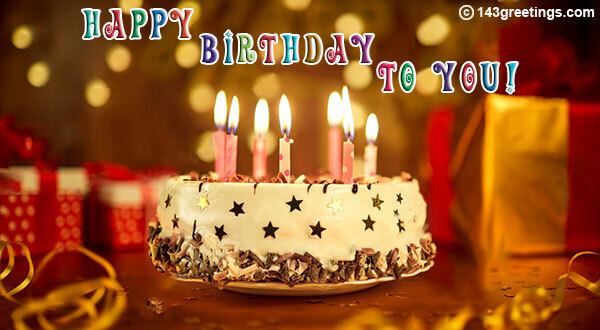 Writing some heart touching special birthday wishes is something extraordinary and will help you in winning heart. This is how you can write a classic birthday message for your husband or wife. Together you and I make our home, the world. I don’t love being in your lap forever. Happy Birthday my life partner forever. I want to make your every birthday the happiest one. And you by being not a demanding husband, make it easier for me. Happy birthday sweetheart. You have added so much sweetness in my life, I thank u for everything. Before I say anything to you, you understand it well. This is why I love you so much. If you are not good at writing such striking messages, no problem! Get similarly drafted birthday quotes at 143greetings.com. Here, the writer have penned messages for different relations and understanding the sentiments behind. Here, you will find birthday wishes quotes, for different categories such as funny birthday messages, belated birthday wishing message. The platform also offers innovative birthday ideas for the celebration of birthdays. So, you can be short of words, but not emotions. If you are short with words, 143greetings.com is their you help you. Just pick a message and send to your love one to for wishing them happy birthday. Navratri is an important festival of Hindus and it is celebrated twice in a year. The navratri celebrated during the chaitra month (According to the Hindu calendar) is called as chaitra navratri. According to English calendar the chaitra month falls in the month of March and April. The chaitra navratri is a nine day festival and during nine days, the devotees of goddess Durga worship her following all customs and rituals. Chaitra navratri 2019 will be celebrated from 6th of April till 14th of April. In some parts of the country, this festival is also celebrated by the name Vasanta navratri or rama navratri, for the reason that ninth day of navratri is celebrated as the birthday of Lord Rama. The rules and regulations to celebrate Chaitra navratri is same as Shardiya navratri that falls in the month of October or November, according to the English calendar. What Is The Purpose Of Celebrating Chaitra Navratri And How It Is Celebrated? Based on mythological stories and some manuscripts, the Chaitra Navratri is an important one in Hindu religion and its significance increased more when Lord Rama worshipped Goddess Durga during the ‘Ashwin’ month that is during the period of Ramayana war. The festival is celebrated with enormous pomp all over India, but it is more popular in northern states of India and central India. People organize fairs, especially near the Goddess Durga temple. It is also the beginning of New Year for Hindus in some part of the country. In Maharashtra state, Chaitra Navratri begins with the celebration of‘Gudi Padwa’ and in the southern states the festival begins with celebration of ‘Ugadi’. Just like every year, the 2019 chaitra navratri will be celebrated from 6 to 14 April with the celebration of Gudi Padwa and Ugadi in Maharashtra and South India. As during the nine days of Navratri, the Goddess Shakti is worshipped in her three forms, although according to Hindu mythology, Goddess Durga has many forms and she is also called as goddess of energy. The three forms of Durga that are worshiped during Chaitra navratri are Maa Durga, the goddess of energy, Maa Lakshmi, the goddess of wealth and Maa saraswati, the goddess of wealth. There are many mythological stories that narrate the significance of Chaitra navratri. One of the most popular one is, before heading for war with Ravana, who abducted Sita, Lord Rama worshipped Goddess Durga and her nine forms to gain power to defeat Rawana. On the 10th day Rama got Sita back, killing Ravana. Another legend is associated with Lord Shiva and Goddess Parwati. According to the legend, Lord Shiva allowed Parwati to visit their parents’ house during this time. This is the reason, in most part of Northern India, married women visit their parents’ house during this time. According to believe, people who worship goddess Durga and her nine forms during Chaitra navratri, get what they desire for. Also, those who worship her without any desire receives salvation soon. But, this is the mythological reason for celebrating Chaitra navratri, the scientific reason is different. According to the scientific reason, the month of March and April is the time when most part of India had a change in weather. It is the time of last days of winters and initial days of summers. There is a sudden change in temperature in environment, which is favorable for growth of deadly viruses and bacterias. During Chaitra navratri, people do not consume non-vegetarian food, which are most infected food during these days. 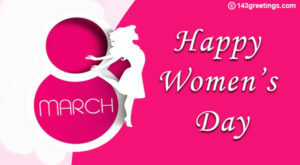 People observe fast of nine days and stay away from outside, and eat only fruits and some selected foodstuffs. This normalizes their body temperature and at the same time provide them protection from deadly viruses and bacterias. The devotees of Durga perform hawans during nine days. The smoke coming from hawan help in purifying the environment. The whole worship process actually prepares the human body for accepting the upcoming summer season. On the first day of navratri, goddess Shailputri is worshiped, the second day is of goddess bhramacharini, the third day is for chandraghanta goddess, the forth day is for goddess kushmanda, the fifth day is for goddess skanda, the sixth day is for katyani, seventh is the day for kalratri, eighth day is for maha gauri goddess and the last ninth day is for siddhidatri goddess. In 2019, the celebration will begin from 6th of April. All nine goddess are symbol of power, energy, prosperity, health and wealth. According to Hindu religious believes, those who worship all goddess for nine days with complete devotion receives all these at the end. Some also believe worshiping goddess Durga during Chaitra navrati gives them inner happiness and self contentment. To worship Goddess Durga, many devotee visits the famous Vaishno Devi temple to bestow their head and receive goddess blessings. To celebrate Chaitra navratri 2019, check chaitra navratri mahurat for 2019. Holi is an important festival celebrated every year in the spring month in India and now in neighboring countries as well. The festival last for full one day and start in the evening full moon day (Poornima). It falls in the month of Phalgun, which fall between February end and mid of March month. The festival starts in evening with Holika Dahan and after that, main festival holi is celebrated. Holi is celebrated with euphoria and enthusiasm all over India, but it is known by different names in various parts of the country. The celebration pattern of this festival also varies depending on the region. Holi in the year 2019 will be celebrated on 20 and 21st of March. The festival will start on 20th of March with Holika Dahan and on 21st March, Holi will be celebrated with colors, sweets and bhang. Each festival celebrated in India has some mythological history, cultural, social, ecological and biological importance. The same is true with Holi festival as well. The festival holds a huge significance and we will tell you about the same in parts. Like this, there are many similar fairy tales present that relates to beginning of Holi festival. And the gist of all stories is ‘win of good on bad’. All mythological stories associated with Holi deliver one message at end, ‘victory of good over bad’. All legends guide people to practice good behavior and follow the path of truth. When people inherit this message in their attitude, it becomes culture of that place. Holi develops a culture of brotherhood and harmony in society by spreading happiness. Holi plays a significant role in keeping different people of society together. Though, it is the festival of Hindus, but it is celebrated by all communities in India, despite belonging to various culture, religion and values. Holi teaches a lesson ‘forget your enemies on the day’. On the occasion of Holi, people forgetting their social status celebrate festival with zeal and enthusiasm. On the occasion of Holi, people share wishes, greetings and hilarious messages with each other. 143 greeting is one platform where you can check holi messages in different shades. Here you can also find birthday wishes, anniversary messages and much more. The festival of holi relates to our lives as well, and it has biological significance too. Holi comes in the month of Phagun. During this month, climate changes from cold to hot and lots of variation take place in the body as well. Abeer used in Holi has a soothing effect and reduces body temperature. It enters into the body pores, strengthen ions present in the body. During this period, because of temperature variation harmful bacteria grows in our surrounding. When holika dahan is done, the overall temperature of atmosphere rise to a 145 degree. At this temperature, harmful bacteria in the environment and human body get destroyed, and our surrounding becomes clean and healthy. In Southern part of India, after holika dahan, people mix ash with paste of sandalwood and apply it on their forehead. They also east mango leaves and its flowers that promote good health. People cleanup their house to celebrate holi. This way they clean up all mess present at home, making house free from mosquitoes and other insects that normally grows during this weather. No festival celebration will complete without messages. So, wish your near and dear ones by sending heartfelt messages. 143greetings.com has messages for every occasion and festival. 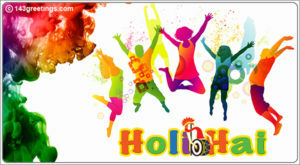 We have holi messages, diwali messages, chirstmas messages, birthday wishes, New Year wishes and much more.